Lost Love in Times could have been another Scarlet Heart or the next Ten Miles of Peach Blossoms. I was looking forward to it for the longest time which is why it's all the more disappointing when such a highly-anticipated show falls short, and it's not even for the lack of a plot since so much happened, way too much. The preview hints at something big that's going to wipe the slate clean and at this point, maybe it's just what it needs. Two worlds collide when palace conflicts find its way into the secluded valleys of Li Jing Tian, and it begins when the 4th Prince (William Chan) is framed for treason by his own father and brothers 'cept for the 11th Prince, his trusty sidekick, who remains faithfully by his side. Feng Qing Chen (Liu Shi Shi) stumbles upon an injured 4th Prince and saves him (and here I am drawing parallels to Wonder Woman). Instead of an Amazonian warrior, Feng Qing Chen is a witch whose mandate is to protect the imperial family and its people. Alas, things can never be so simple because the witch elders (Han Dong and Han Xue) speak of an ominous prophecy. Feng Qing Chen and the 4th Prince represent the yin and yang and their meeting can only spell disaster and worse, death for one of them. The romance forges ahead anyway as the two get close in a matter of days and engage to be married despite everyone's objections. We find out that the 4th Prince is not the King's real son but the former King's son whose throne the current King usurped (which explains a lot). The 4th Prince stayed quiet in spite of being privy to the truth yet the King ultimately forces his hand to make a play for the throne. So the 4th Prince succeeds rather easily in becoming the New King of Wei. It feels like we just sped through an entire drama's worth of material in the span of a few episodes because the political war ended as quickly as it started and to say that it feels rushed is an understatement. While there were losses like the death of Han Dong's character, nothing really sinks in long enough to make any meaningful connection. I, for one, can't tell you how the couple are so madly in love, we're just supposed to believe that they are. I was all ready to drop the show until I realized that what we just saw was not even the actual story. 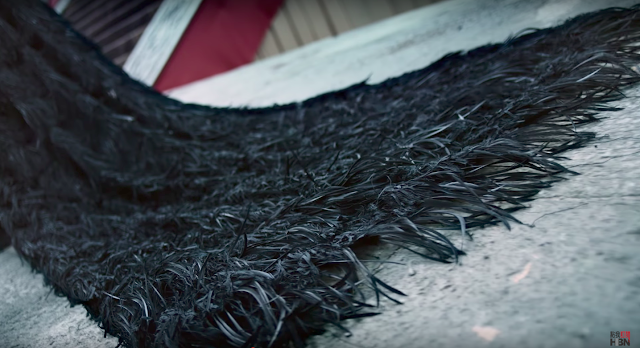 The heroine will be creating an alternate reality that's going to open up a whole new ballgame, one that negates the events that have passed, and I really hope for the show's sake that they get it right this time around. The 7th Prince (Xu Hai Qiao) is probably the only character that didn't feel as one dimensional as the rest, and I'm curious enough to want to find out how he'll turn out in the altered timeline. If you happen to be watching Princess Agents too, then you might have chanced upon these interesting tidbits. 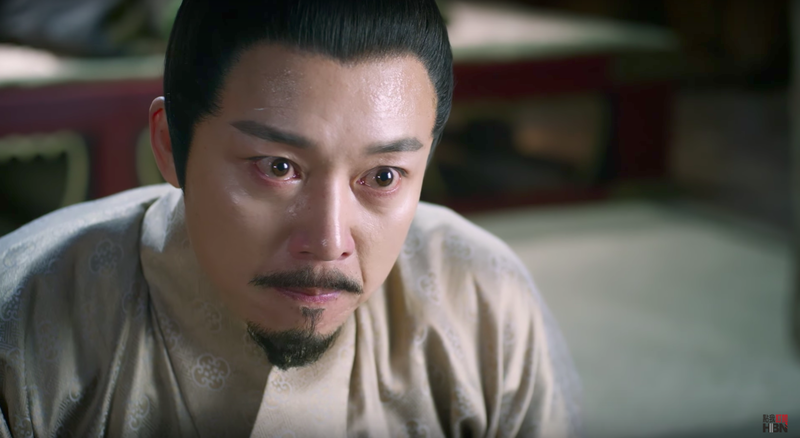 Both dramas are set in the Wei Kingdom and talk of a distrustful King driven mad by his insecurities. 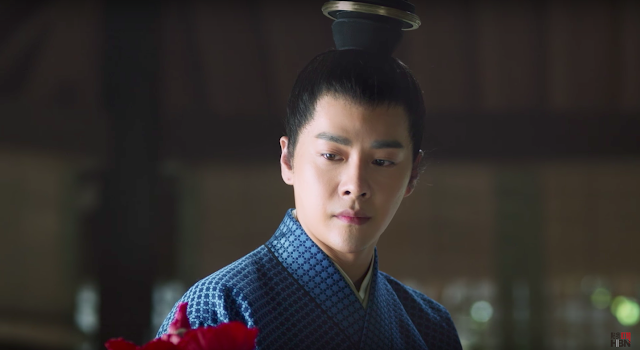 I'd give my vote to Liu Yi Jun just because I'm a fan though I really hope that his talents don't go to waste since there's so much that his kingly character can do given the proper buildup, yet he's being painted simply as a man man. If you find the dubbing familiar, then wonder no more because the 4th Prince and Yuwen Yue are voiced by the same actor. 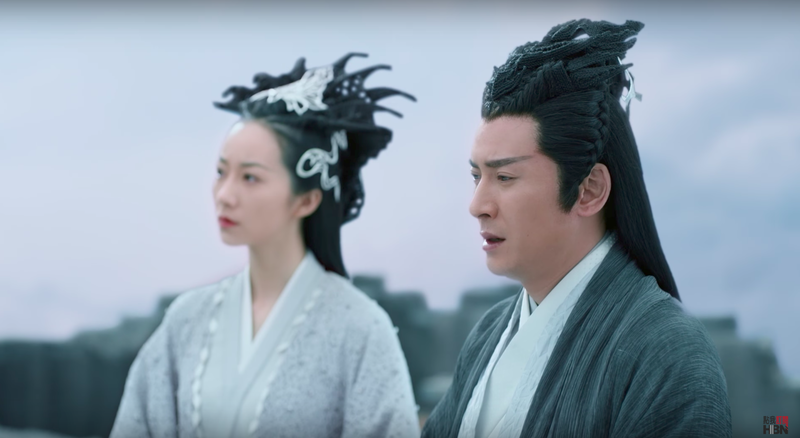 Bian Jiang and Ji Guanlin lend their voices to the 4th Prince and Feng Qin Chen in Lost Love in Times after also dubbing for Yehua and Bai Qian in Ten Miles of Peach Blossoms. And hey, Maggie Huang is a common denominator as well since she is part of both casts. 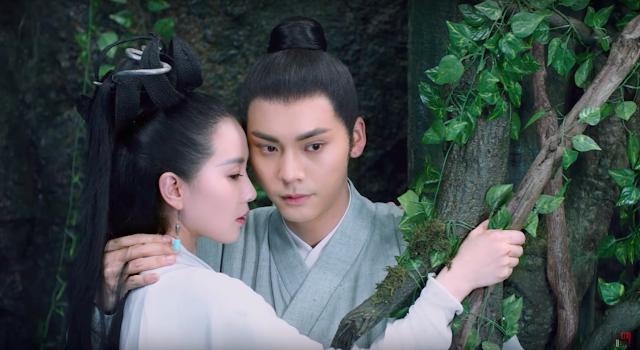 I find it amusing that in spite of the random similarities, it took Princess Agents forty-something episodes to get some skinship while we're already headed for a royal wedding in Lost Love in Times. Last but not the least, I don't think I'll ever get over the towering hairstyles that I just can't unsee. 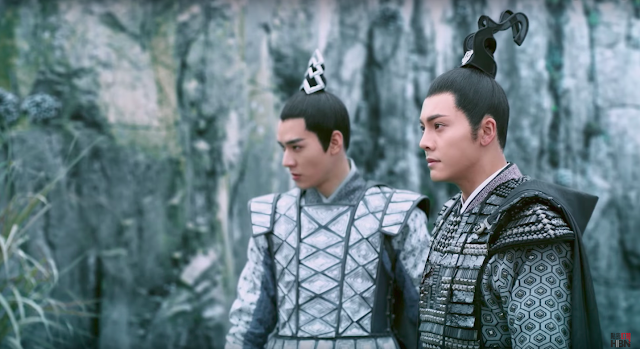 That aside, Lost Love in Times does share the same aesthetic as Ten Miles of Peach Blossoms considering that it has the same crew and it is evident in the flowy costumes down to the studded armors. I can't say that I love it anywhere nearly as much, but some shots are really pretty... if only it were enough. I watched with difficulty the first three episodes because I don't speak chinese and I have to wait for subtitles, the problem is the subtitles are barely understandable. I wasn't expecting much, so I am not as critic as you. I agree with the horrible hairstyles and the sense of rush, but overall it was a pleasant drama for now. ooh, I heard it's going to be on DramaFever starting today so there should be subs soon. Expectations definitely ruined it for me, it's hard not to expect though coz there was a lot to be hyped about at first. That's right! 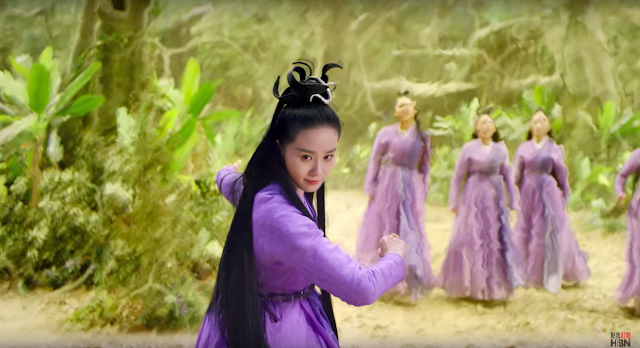 To be honest, I've always been too lazy to watch much dramas, but I'm a big fan of Liu Shishi and this one has an interesting world/setup (I love stories that re-do the past to "fix" things, plus the whole time-stopping powers of the sorceresses make for interesting battles). I know people have been calling it "Scarlet Heart with sorceresses" or harping on the acting levels of the main leads, but so far it's successfully sucked me in. I want to known just what each of the princes are planning and am especially looking forward to unraveling the layers of the 7th Prince and 4th Prince. Also, I appreciate the fact that Qingchen isn't some damsel in distress here--she actually fights, makes plans, and does things with the heightened maturity she was forced to gain after the end of her original timeline. Shishi's acting feels more mature as well--it might not be the best, but hey, her eyes can talk to you now! And they say more things! It's nice to see how she's changed. I'm sorry so many people are being put off by the frantically fast "prologue" of episodes 1~5. To them I say: hey! The drama, tension, and plot you're waiting for starts in episode 6 and beyond! Come join us on the other side! So I finally started watching Ten Miles of Peach Blossoms, and I must say the costumes on lost love in times CANNOT even begin to compare with Ten Miles' in intricacy and delicateness. Those looked gorgeous and ethereal. These just look clunky. And the hairpieces are awful. 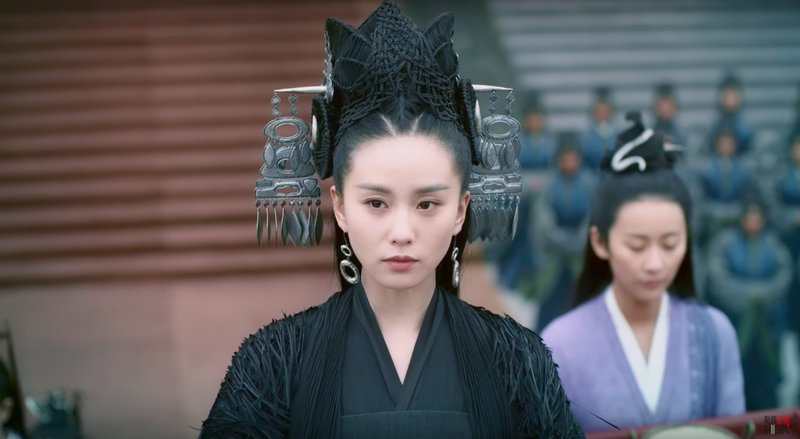 I'm kinda bummed because I have been *waiting* to see Liu ShiShiShi in a historical epic. Sadly, I'm nodding yes to everything that you say. I don't know though, maybe the next episodes are gonna be a game changer, except for the hair, that one's just hopeless. I can't agree with you on that Ten Miles of Peach Blossom having intricate and delicate/ethereal clothing. I thought Yehua fur dress, coat, however you would call it was quite unappealing which reminds me a little bit too much of Qing Chen feather dress that she wore on her ascension in being something, both were equally unappealing. Siyin amour and the other amours in Ten Miles of Peach Blossom were quite similar looking to Yuan Ling and the other men amour were in Lost Love in Time which were chunky. Some dresses in Eternal Love were quite intricate and ethereal but most were plain looking and some were not appealing, well at least the main cast clothing were plain looking except the antagonists. Overall, I found little to no difference in Lost Love in Time and Ten Miles of Peach Blossom's costumes. For the hair, I will agree that Ten Miles of Peach Blossom have better hair, but for the clothing I cannot say yes to. Hairpieces, both were quite okay. I am so glad to hear I wasn't the only one not enjoying Lost Love in Times... I was really looking forward to this show since it's the same film crew for Ten Miles of Peach Blossoms and the same voice actors for the OTP. But Liu Shi Shi and William Chan "fell in love", I swear, by the 2nd episode...? I thought I accidentally skipped to episode 20 or something lol. It happened so fast. There was no chemistry. The only good thing is the CG. The has to past pace the first 6 episode so that the second part can began.. because of the time travel issue in China, they can't use the Novel version.. that why they have to have this part so to explain the second part.. from episode 6 one.. there so much tension and the story really is very good.. been waiting for the next 4... so frustrate that is only 4 episode a week.. also because of the time that it air, it not high in rating however for only 12 episode it already reach 2+ billion viewer online.. that is good.. I hope you didn't really dropped this drama..it's quite nice after Qing Chen entered the new timeline.. I don't know why people seem to hate the fast paced relationship of the cp since every other drama everyone complain on how slow the buildup romance of the cp is. This fast paced-ness is just as quick and fast as every other movie could be yet no one complain much of it. And Tales of Liao Zhai have about six episodes to unveil the relationships between the cp of the tales before it move on, so I definitely didn't mind the quickness of the relationship. Other than this, I thought Liu Shi Shi looked very pretty in her clothing (but definitely not in the hair department though). the hair is because she if a Mage (sorceress) race, that why they have to have such hair.. after episode 8, the hair look really nice.. Thanks for the honest and indepth review. I was hoping this might be my C-Drama crack for the summer after I gave up on Princess Agents but maybe not. 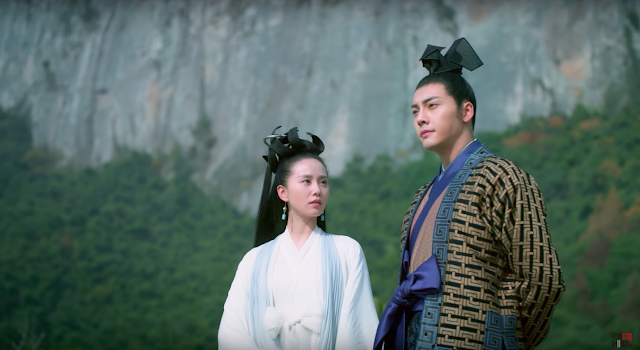 I might still give it a go as it is being subbed by Dram Fever and I like Liu Shi Shi in costume dramas even though the hair and costume for this drama are kind of hideous. Just want to say that Liu Shi Shi acting skill.. stagnant stage. No break through. She seriously need to think about it or ppl will start comparing her with angelababy in term of acting.